Facciponte’s new series explores the social constructs of the art world, its players and activities, as diorama-like scenes composed of kitsch decorative objects blur the line between the real and the artificial. 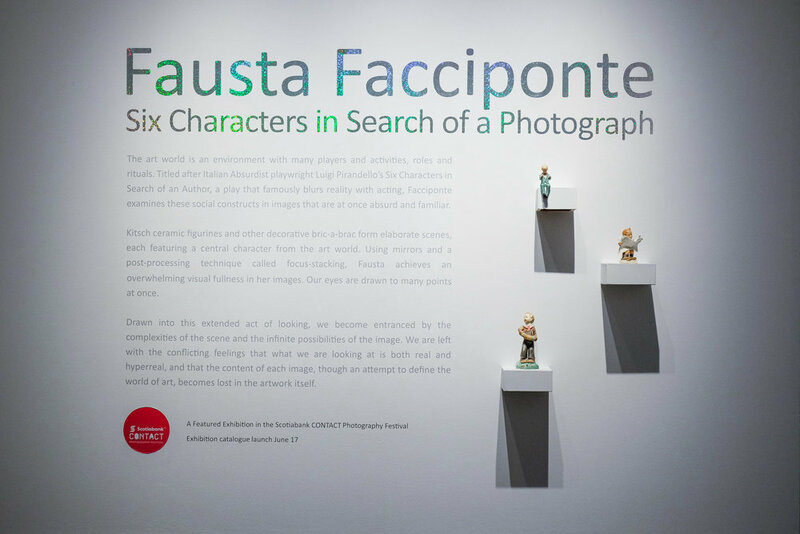 Six Characters in Search of a Photograph, Main Gallery, Art Gallery of Mississauga. Photo by Janick Laurent.